We offer a positive and pragmatic approach to counseling and psychological therapy for adults, adolescents, and children, on an individual basis, as well as couples counseling, family therapy, and support groups. Everyone can benefit from therapy. At the BFDC, we always consider the best interests of the individual adult, child/teen, couple or family and shape our approach to their needs. In addition to symptom reduction, an important goal of therapy is self-awareness, self-acceptance, and self-determination. We believe that therapy should be directed by the adult, child, couple or family as they become aware of issues that block self-determination. We help you to envision a future that is informed by your own goals and desires. We also offer online therapy. Contact us to see if it its suitable for you. This is an opportunity to meet with a member of our therapy team and provide background information that will help us assess your needs and goals. If you are seeking child or adolescent therapy, the first session may be with parents only, or involve both parents and child. You will be informed of who needs to attend when you make your first appointment. There is no obligation to continue after the first session. After assessing your needs and goals, your therapist will devise and recommend a plan to work with you or your child in weekly or bi-weekly sessions. If you have any questions about the consultation or treatment process, feel free to contact us at info@blurton-fdc.com”>here. In child therapy, we believe it’s beneficial to spend time with both the parents and child and to establish an approach that is best for the family unit. Our psychologists and therapists are trained in a number of different psychotherapeutic techniques and theoretical frameworks. We feel that it is important to use a range of approaches that are determined by the particular needs, personal styles and goals of the client. WHAT CAN THERAPY HELP MY CHILD/TEEN WITH? WHY SHOULD MY CHILD SEE A THERAPIST? Therapy can help children with a variety of emotional and behavioral issues. Some children need support when it comes to issues such as stress management, anxiety, and problem-solving. Others need guidance with communicating their feelings, going through transitions, illnesses or family issues. If there is anything that is affecting your child’s day-to-day life, we’re happy to help. HOW SHOULD I PREPARE MY CHILD FOR THEIR SESSION? Therapy should be a positive experience and our therapists will ensure your child is comfortable and at ease during his or her session. It’s important to be honest with your child about why they are attending a session to prevent them from feeling isolated or concerned. You may wish to explain that the person you will be seeing helps children and families to solve problems and to feel better. Reassure your child that the experience will be positive. Adolescents and teens may feel reassured to know that information is confidential and that the therapist will not share anything that is spoken about in session without consent. HOW INVOLVED CAN I BE WITH MY CHILD’S THERAPY SESSIONS? To ensure children are supported outside of therapy, we encourage parents to become involved in understanding our therapeutic approach. We offer individual sessions for parents on how to appropriately work towards their child’s development. We do ask parents to understand their child’s need for privacy and confidentiality to ensure they feel comfortable sharing in the therapeutic environment, however parents will always be made aware of anything important or of concern. Being open, honest and noticing problems early on can help your child and your family grow and develop in the right direction. Listen, offer non-judgmental support, and be patient. Make time for your child and family to talk about issues that have been discussed in therapy. Make sure your child knows that they are your priority and that you love them no matter what. If you have questions or are unsure, do not hesitate to speak with your child’s therapist about how best to support your child. Sometimes we’re faced with a problem that we just don’t know how to solve on our own. It could be difficulties at home or at work, coping with a health issue, low mood, anxiety, relationship difficulties, sleep problems, or more general dilemmas like what will give our lives meaning and purpose. When this happens, the psychologists and therapists at the Jadis Blurton Family Development Center’s Department of Therapy and Coaching can provide you with the support you need. If during the initial assessment we identify difficulties that require services that we don’t provide at our Center, such as medication, we will assist you in finding a professional in Hong Kong who can help. Our therapists use a variety of approaches and techniques to assist clients. Some of these may include, but are not limited to: Cognitive Behavioral Therapy, Narrative Therapy, Psychoanalysis, Mindfulness, Solution-Focused Brief Therapy, Dialectical Behaviour Therapy, Art Therapy, Person-Centered and Psychodynamic Therapy. You will be matched to a therapist who best suits your needs and individual situation. 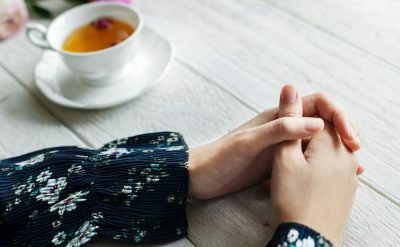 While treatment and interventions are very helpful, the most important factor for achieving mental wellness is the relationship between client and therapist. We encourage you to take an active role in your therapy, and let your therapist know if you feel they are not the right fit for you, or if you would like to change the approach. A way of improving health or coping with health issues: like overcoming insomnia, learning to dissolve pain or reducing the distress caused by physical problems such as tinnitus. Is short-term: Depending on your problem and how hard you work to change your thoughts and behaviors, you often can achieve or make significant progress toward your goals in 10 to 20 sessions. Sometimes we have a problem that does not fit a particular diagnosis. Rather, we have a life problem and would benefit from speaking with someone who is objective, concerned, and trained in how to help us to understand, manage and get through life’s challenges. Alternatively, we may have a goal we just can’t seem to achieve, and need help in exploring how to approach reaching it in a more productive way. These types of issue often benefit from life coaching , counseling, and positive psychology. The BFDC therapists can assist you with working through important and challenging life matters, helping you find the best way forward. Our therapists also possess the knowledge, tools and experience necessary to identify problems that may require — in addition to life coaching — psychotherapy in order to be resolved. We pride ourselves in being LGBTQI friendly and a safe space for those in the LGBTQI community. We welcome individuals from the community to seek services with our therapists, or to contact us with specific concerns.